“You Really Got Me” is built on chords without thirds, later dubbed “power chords,” and was a lasting influence on subsequent genres including power pop, heavy metal and punk. The classic guitar riff was played by Ray’s brother, Dave Davies, who later described the classic track as “a love song for street kids.” Dave created the unique distorted guitar sound by slicing the speaker cone of his amp with a razor blade and then poking it with a pin. The Pass the Paisley Groove Pad is a resting stop, a place to chill out and listen to the featured song on the stereo. If the mood strikes you, click on the juke box to access and listen to the 50+ free online songs there. The TV has several channels, with selections updated twice a week. Every now and then, Pass the Paisley hosts an all-request of 1960s and 1970s songs for a Be-In at the juke box in the Groove Pad. Keep on truckin’. 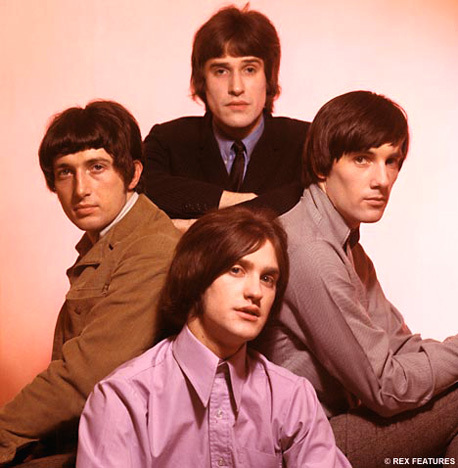 Hope you enjoyed “You Really Got Me” by The Kinks.